Believers, as you are seeing by these daily verses, we who are in Christ are Blessed with every possible blessing we could imagine and more! 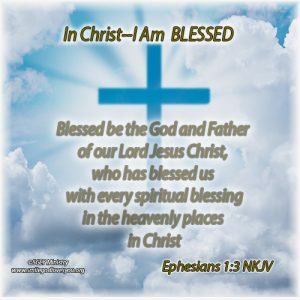 If you carefully read the book of Ephesians Chapters 1 thru 3 you will find 54 spiritual blessings you have received in Christ. So, today, let us just ponder all these things in our hearts and give thanks for all we are Blessed with in Christ!